I began working with the USGS New York Water Science Center in 2002 as a Student Volunteer. From 2003 to 2005 I was a Student Hydrologist in the SCEP program. Throughout this period my work focused on water and soil chemistry related to acid deposition. Upon completing my graduate degree I was hired as a Hydrologist in the Hydrologic Surveillance and Investigation Section at the USGS NY WSC. Burns, Douglas A.; Gazoorian, Christopher L., 2015. 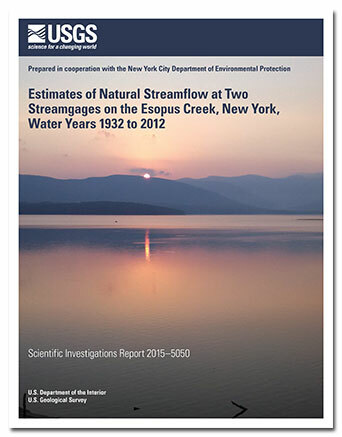 Estimates of natural streamflow at two streamgages on the Esopus Creek, New York, water years 1932 to 2012. 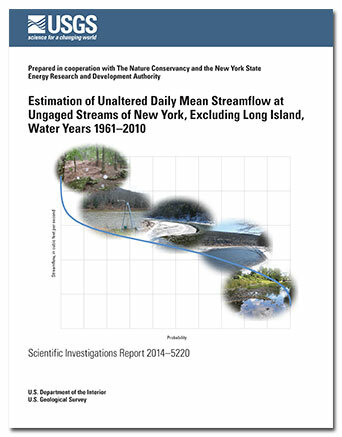 U.S. Geological Survey Scientific Investigations Report 2015-5050, v, 20 p.
Burns, Douglas A.; Gazoorian, Christopher L.
Gazoorian, C.L., 2015, Estimation of unaltered daily mean streamflow at ungaged streams of New York, excluding Long Island, water years 1961–2010: U.S. Geological Survey Scientific Investigations Report 2014–5220, 29 p., http://dx.doi.org/10.3133/sir20145220. Suro, Thomas P.; Gazoorian, Christopher L.
Changes in low-flow frequency from 1976-2006 at selected streamgages in New York, excluding Long Island; 2011; SIR; 2011-5112; Suro, Thomas P.; Gazoorian, Christopher L.